The PathwayU Client Spotlight Series gives us a glimpse into innovative ways our clients use the PathwayU platform across their campuses. It also allows us to reflect on the numerous ways PathwayU impacts the lives of students, faculty, alumni and more. We have a deep appreciation for our clients and the work they do to support learners through their journeys and prepare them for purposeful futures. This January, we are pleased to introduce you to the University of North Carolina at Charlotte. The University of North Carolina at Charlotte (UNCC) is a public research university located in Charlotte, North Carolina. 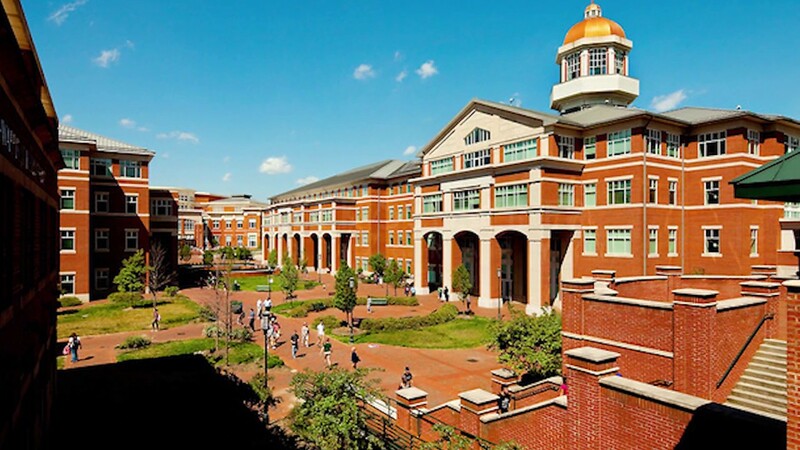 UNCC has 139 undergraduate majors with 75 programs leading to Bachelor’s degrees, 65 programs leading to Master’s degrees and 24 programs leading to Doctoral degrees. UNCC is North Carolina’s urban research university, leveraging its location in the state’s largest city to offer internationally competitive programs of research and creative activity, exemplary undergraduate, graduate and professional programs, and a focused set of community engagement initiatives. Responding on behalf of UNCC is Stephanie Bird, Senior Assistant Director for Career Branding within the University Career Center. In what ways do you use PathwayU on your campus? “In our office, the primary way we use PathwayU is during one on one sessions but we also do offer debriefing small group sessions a few times during the semester around registration when anxiety of choosing a path is highest. The small groups allows us to meet the demand [while] still ensuring the students receive quality feedback. We also partnered with our advising office for our exploring students to offer PathwayU as part of their flipped advising model. Students in this University College are required to process through modules to ensure they are prepared for their first advising session with their academic advisor. One of the models the students must complete is to take PathwayU and explore career matches. This is the pilot year for this initiative so we should have more information with student feedback next year! Has PathwayU helped you address gaps or improved services at your school? If so, in what ways? “We decided to implement PathwayU after connecting with our Distance Education office. Previously, we only offered the Strong Interest Inventory and MBTI which required students to visit the office in order to receive their results. Unfortunately, that inhibited our Distance Education students from easily receiving assistance regarding a career assessment. PathwayU was our top assessment choice because the assessments offer a full picture of the student instead of only reviewing interests or personality, a student receives information on their interests, personality, values and workplace preferences. The student then reviews their career matches which can easily be filtered through for more individualized preferences. What have student reactions been to the PathwayU platform? What plans do you have for the future to promote student usage of the PathwayU platform? If you feel inspired by UNCC’s story and would like to see PathwayU on your own campus, get connected with us here!